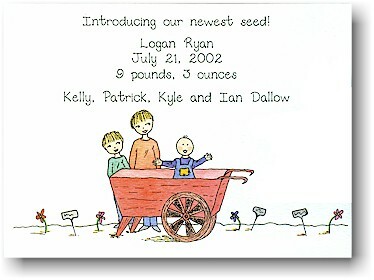 White card with 2 older siblings next to a red wheelbarrow holding new baby wearing blue overalls and purple shirt. Graphics only as shown. White flat card with baby dressed in blue overalls and purple shirt sitting inside a red wheelbarrow with rake and shovel.